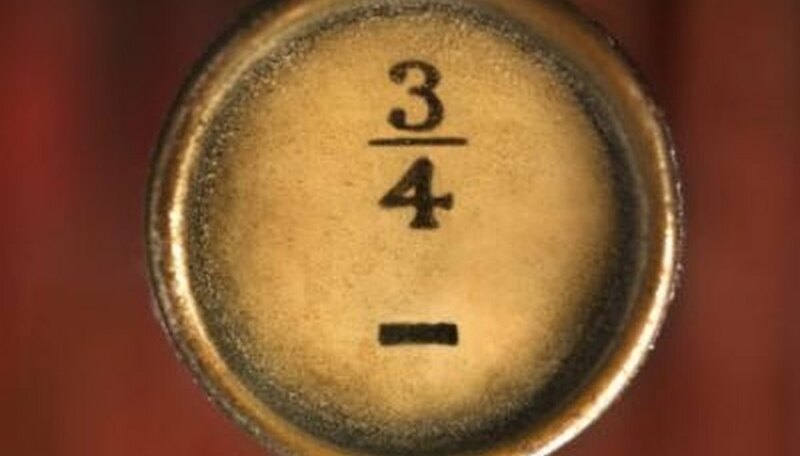 Division of a number into another number isn't always a clean operation, and a little bit can be left over. In division, one number, called the divisor, divides another number, called the dividend, to produce a quotient. The quotient can be thought of as how many times the divisor will fit into the dividend. Often after the last fit in integer division, an amount that is less than the divisor is left, which is called the remainder. By working with the relationship that the divisor has with the remainder, you can write the remainder as a fraction. Divide two integers to obtain a remainder. For an example, dividing 4 into 6, or 6 ÷ 4, results in quotient of 1 and a remainder of 2. Write the remainder as the numerator in a fraction with the divisor as the denominator. In this example, writing the remainder over the divisor results in 2/4. Simplify the fraction by finding and factoring out the numerator's and denominator's greatest common factor. The greatest common factor of two numbers is the largest integer that can be divided into each without leaving a remainder, which is found by listing the factors of each number to find the greatest common factor. Concluding this example, the factors of 2 are 1 and 2, and the factors of 4 are 1, 2 and 4. The greatest common factor of each is 2, and factoring 2 out of the numerator and denominator results in 2 ÷ 2 / 4 ÷ 2, which is equal to 1/2. E., Chance. "How to Write the Remainder As a Fraction." Sciencing, https://sciencing.com/write-remainder-fraction-8478041.html. 24 April 2017.